As I write this article, we are in the midst of a run for the Major League Baseball playoffs. My favorite (home) team is 2 1/2 games away from the Wild Card (which means that you can go to the playoffs even though you weren't the best in your division--it's kinda like handing out a fourth-place ribbon). So the baseball analogy just popped out of me. Apologies. So, who is responsible for chicken salad? Just like the start of the baseball season, sometimes what you anticipated is not what you end up with. 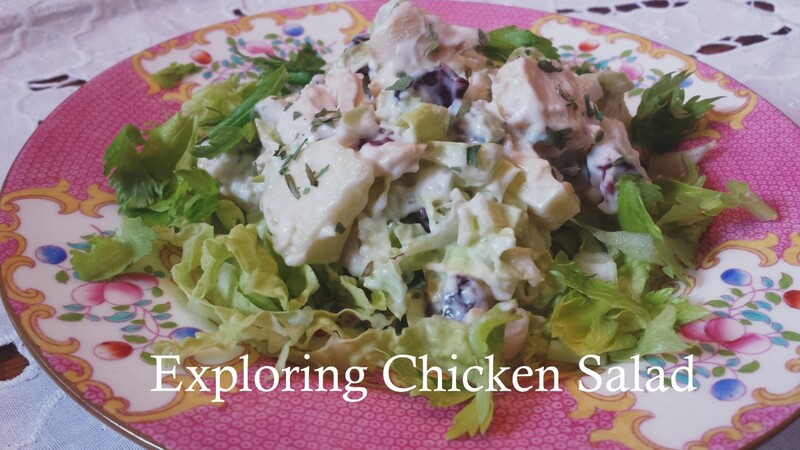 Chicken salad should be full of moist, succulent, flavorful bits of diced chicken. It should be brightened by fresh herbs. A bit of fruit or vegetable would not be a bad addition. And then all of it is lightly kissed with a binding of creamy dressing--perhaps a homemade mayonnaise or some low-fat Greek yogurt. But, pick up a container of chicken salad at you local deli and you will be rewarded with flabby, rubbery chicken, a mere suggestion of fruit or vegetable, and a swimming pool amount of full-fat mayonnaise. 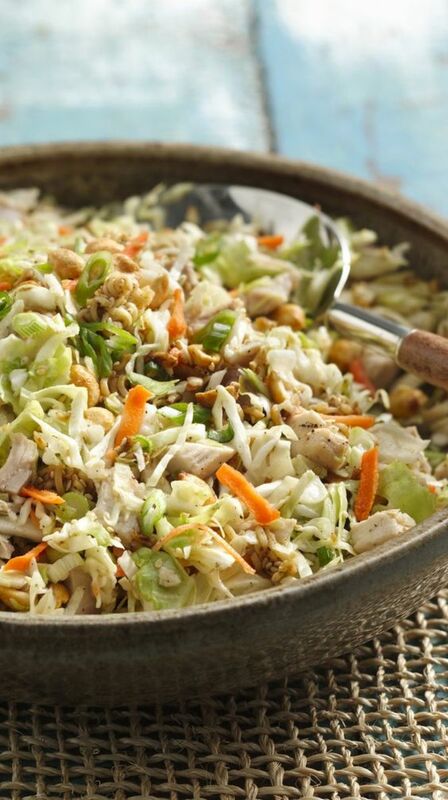 We can thank the Chinese for being the first to serve variations of “chicken salad.” Of course, these versions were far from what we are familiar with today, but the general idea was pieces of chicken mixed with a variety of spices and oils, always tied together by a binding substance. 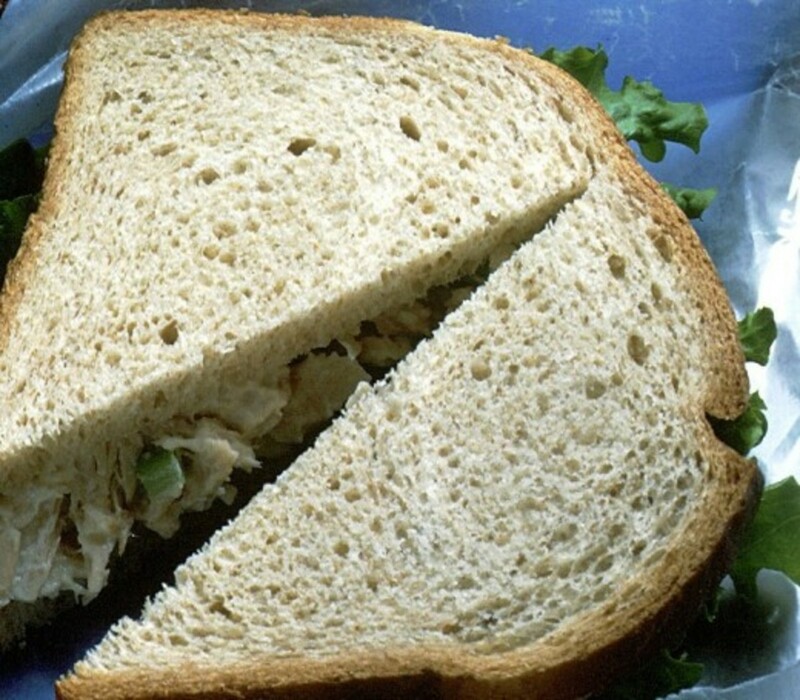 Jump to 1863 in U.S. history, and the first American version of chicken salad was served at Town Meats in Wakefield, Rhode Island. The founder of Town Meats, Liam Gray, mixed his leftover chicken with mayonnaise, tarragon, and grapes. The item became so popular that the meat market was turned into a delicatessen and the business was still operating up until a couple years ago. So that’s that. After another 100 years or so the Willow Tree version came along, and the rest, as they say, is history. Old menus and cookbooks give clear evidence that mixtures of minced chicken and mayonnaise were well known in Colonial times, probably popularized by German settlers. Here is a recipe that I found in the 1845 cookbook “Directions for Cookery in Its Various Branches" by Eliza Leslie. (I have edited the text slightly to correct spelling and grammar to current standards). 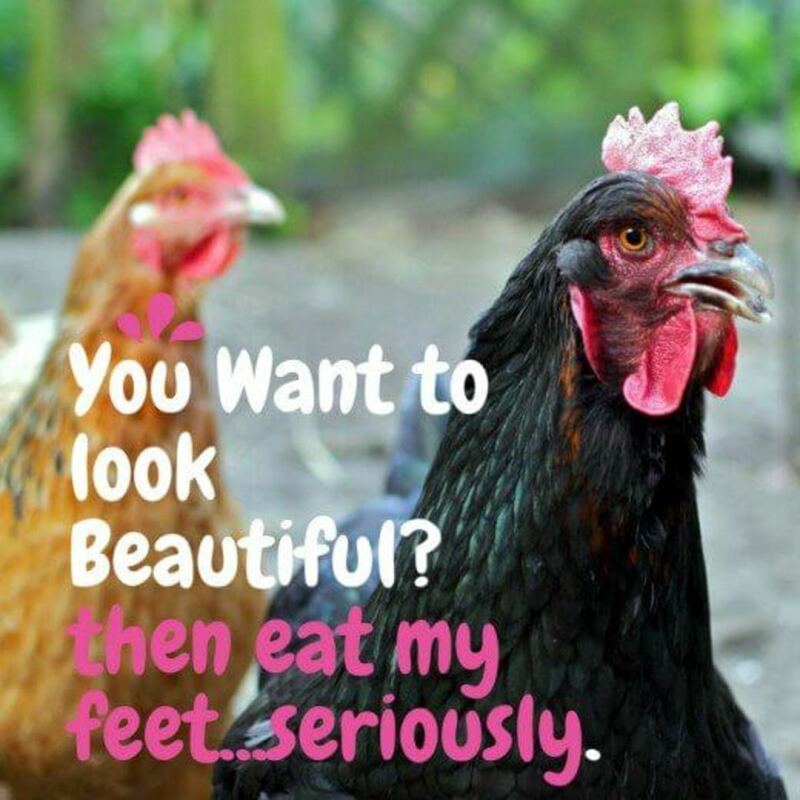 The fowls for this purpose should be young and fine. You may either boil or roast them. They must be quite cold. Having removed all the skin and fat, and disjointed the fowls cut the meat from the bones into very small pieces, not exceeding an inch. Wash and split two large fine heads of celery, and cut the white part into pieces also about an inch long; and having mixed the chicken and celery together, put them into a deep china dish, cover it and set it away. 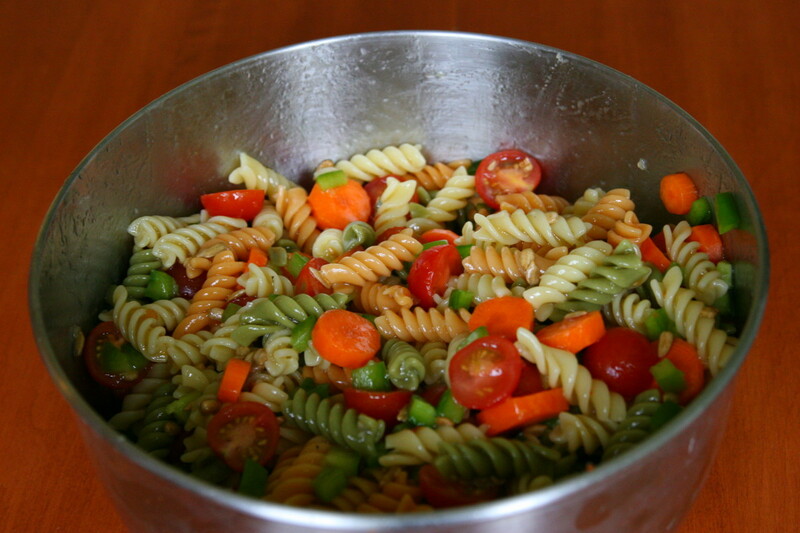 It is best not to prepare the dressing till just before the salad is to be eaten, that it may be as fresh as possible. Have ready the yolks of eight hard-boiled eggs. Put them into a flat dish, and mash them to a paste with the back of a wooden spoon. rather more than two wine-glasses (about 6 ounces) of sweet oil. Mix all these ingredients thoroughly; stirring them a long time till they are quite smooth. The dressing should not be put on till a few minutes before the salad is sent in; as by lying in it the chicken and celery will become tough and hard. After you pour it on, mix the whole well together with a silver fork. Chicken salad should be accompanied with plates of bread and butter, and a plate of crackers. Dear Miss Leslie, you gave us a good foundation from which to begin, but I think we can make a few improvements. Let's update this concept, simply the instructions, add a few more ingredients, and make something really yummy. I'm getting hungry! 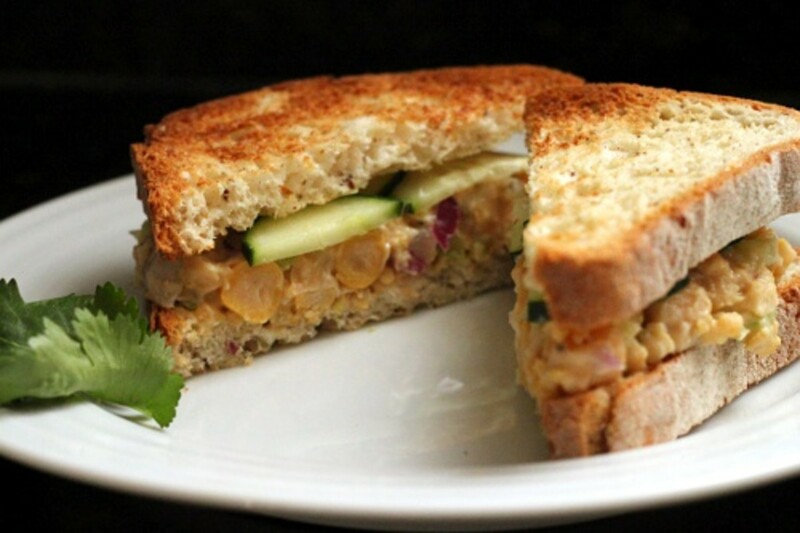 I originally made this as a filling for a cold sandwich (honey oatmeal bread is phenomenal with this!). 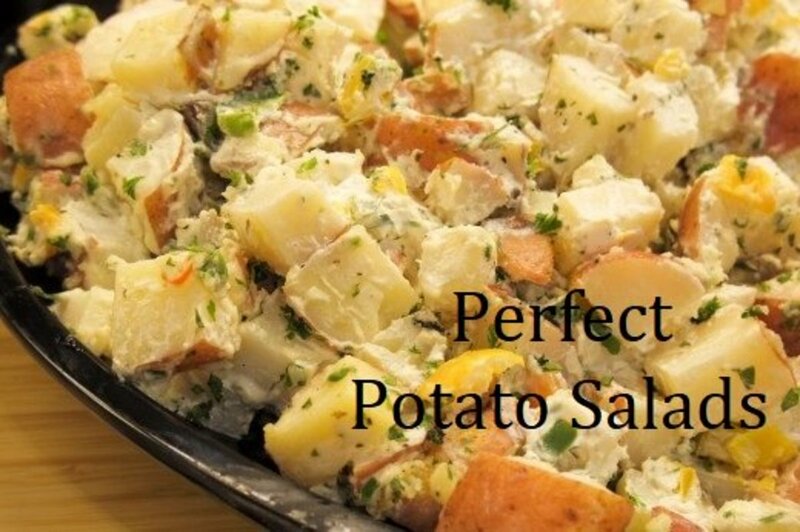 Or, you can simply serve it as a cold salad on a bed of salad greens. As an added bonus, below the basic recipe, I have provided some suggestions for add-in's and/or changes to the original. 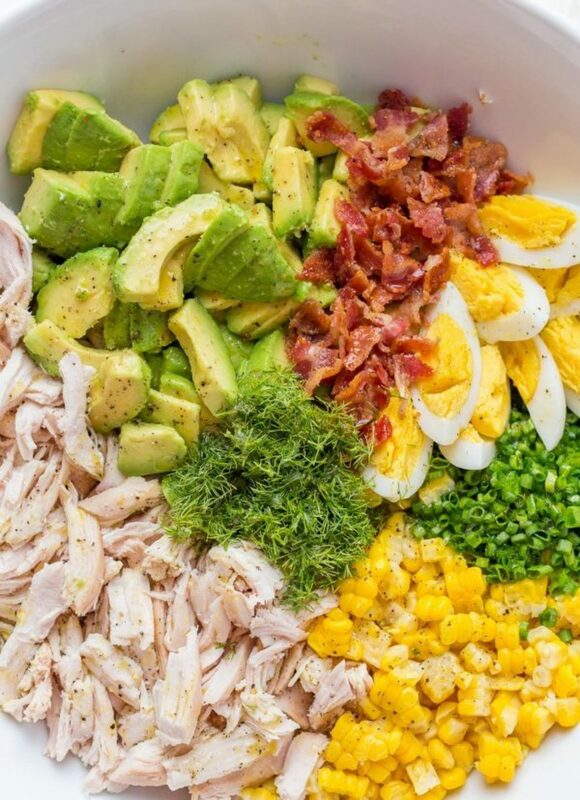 Combine all ingredients in large mixing bowl. Cover and chill at least one hour to allow flavors to blend. 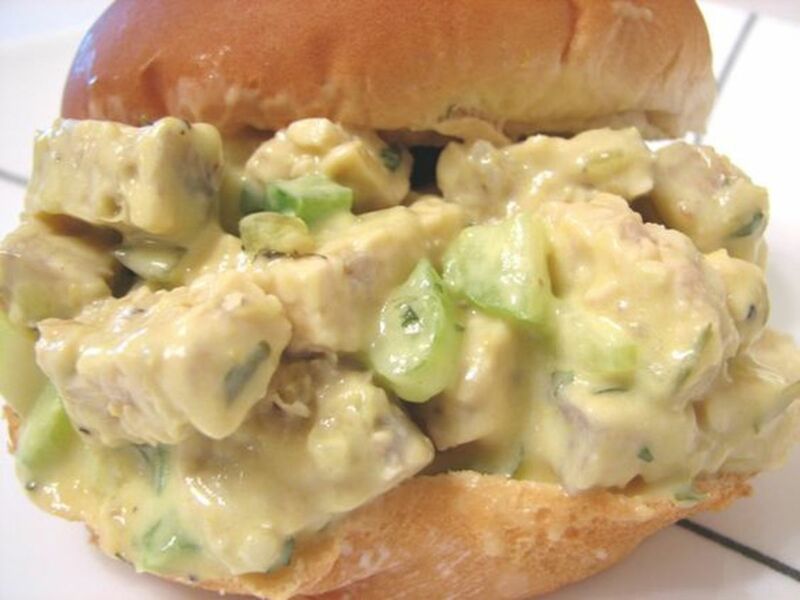 This avocado-chicken salad from NatashasKitchen.com is creamy, light, and gluten-free. I would serve it on a bed of lettuce with some grated cucumber. Mr. Carb Diva likes to eat it with white corn tortilla chips. 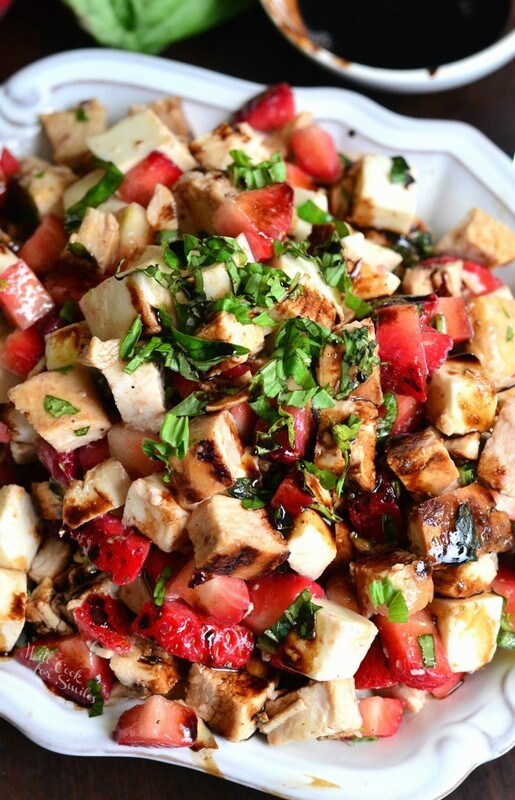 This strawberry chicken recipe from WillCookForSmiles.com is a wonderful salad to enjoy in late Spring or early Summer when fresh, ripe strawberries are available at your local Farmers' Market. Grab some fresh basil too and you are on the way to making a colorful salad, bright with the sweetness of the berries and the licorice flavor of basil. Balsamic lends the perfect sweet-tart flavor balance. The cooks at BettyCrocker have come up with a simple crunchy chicken salad made of ingredients you probably already have in your pantry, or can easily pick up on the way home at your local grocery store. A Caprese salad is one of the simplest, but most luxurious of Italian meals. Take the freshest, garden-ripe tomato and slice it thinly. Then purchase a round of fresh mozzarella cheese; it's difficult to slice (unflavored dental floss does a good job), so do the best you can. Fresh basil is a must; tear off the top-most leaves. A gentle baptism with exquisite olive oil, a pinch of sea salt, and a fresh grinding of black peppercorns and you have Heaven on a plate. 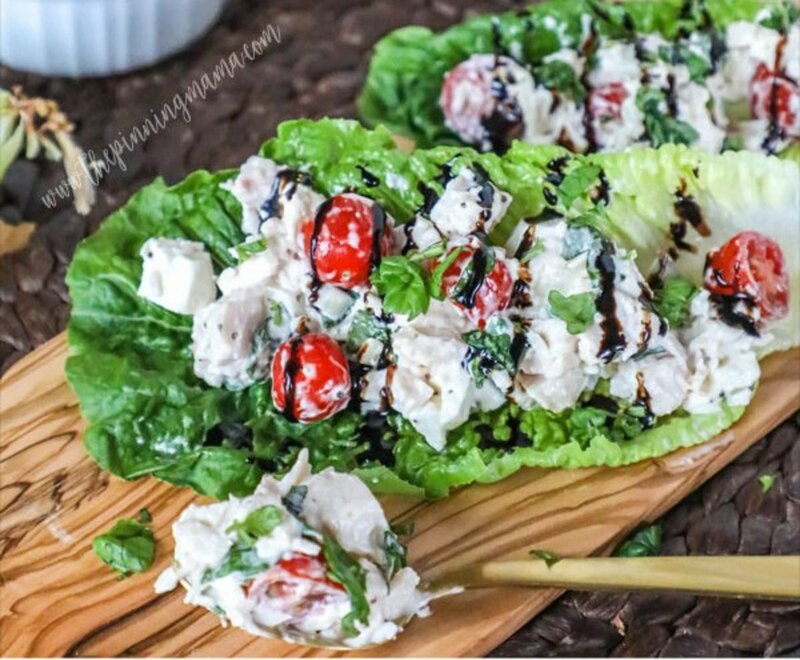 This chicken salad has all of those wonderful flavors, and chicken too! 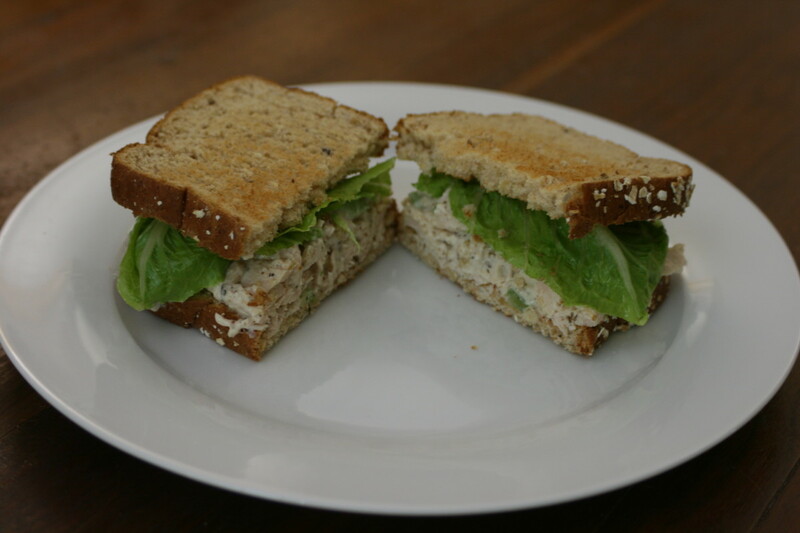 This vegetarian recipe from WheatFreeMeatFree.com has all of the flavors of chicken salad, but no chickens were harmed in the making of this dish. Chickpeas stand in for the protein. Admittedly you will not fool your meat-loving friends, but chickpeas do have an earthy taste and satisfying (not mushy) texture when mashed. Some of you might be wondering "what is tempeh?" Tempeh is a pressed block of fermented soy beans. Now, before you run away in horror, please hear me out. Unlike tofu it has a meaty texture and the "umami" flavor you seek in meat. I prefer to steam the whole tempeh block instead of dicing it into cubes. After it has been steamed and cooled, I shred it on the largest holes of a box grater. If you like bell peppers in your chicken salad by all means leave them in, but I feel that they detract from the "chicken" taste. I have similar feelings about the inclusion of mustard. If you want a bit of color in your salad sprinkle in just a touch of turmeric. Dill pickle? Sometimes I'm in a pickle-y mood, but more often I prefer a bit of sweetness in my chicken salad. You might want to try this with some diced apple or dried cranberries instead of the pickle. If any recipe is worthy of taking the place of "grand finale," this certainly is it. 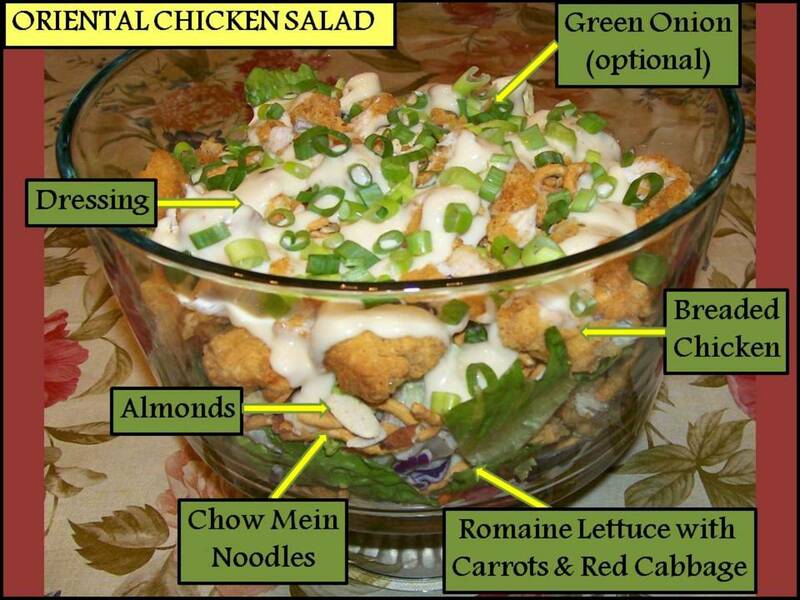 Kevin Lynch is the author of the blog "ClosetCooking" and has created a magnificent salad. Tangy/funky goat cheese is coated with Panko crumbs. The crunch of the Panko is juxtaposed against buttery avocado. And the creamy mouth feel of the cheese and avocado bounce against the bright, sharp contrast of Balsamic vinegar and blackberries. It's 4th of July and News Years Eve in your mouth! Kashif, thank you for your kind words. I hope you find the time to visit more of my articles. They are (often) long, but filled with history in addition to the recipe variations. Eric, De nada mi querido amigo. We had it just 2 days ago (minus the corn). I hope that you and your family have a wonderful weekend. Mary I have been doing a lot of sweet/savory or sweet/salty cooking lately. I just like the contrast. If you don't have berries raw apple, pear, grapes, or mango would also work. I can't recall the last time I have had a chicken salad. 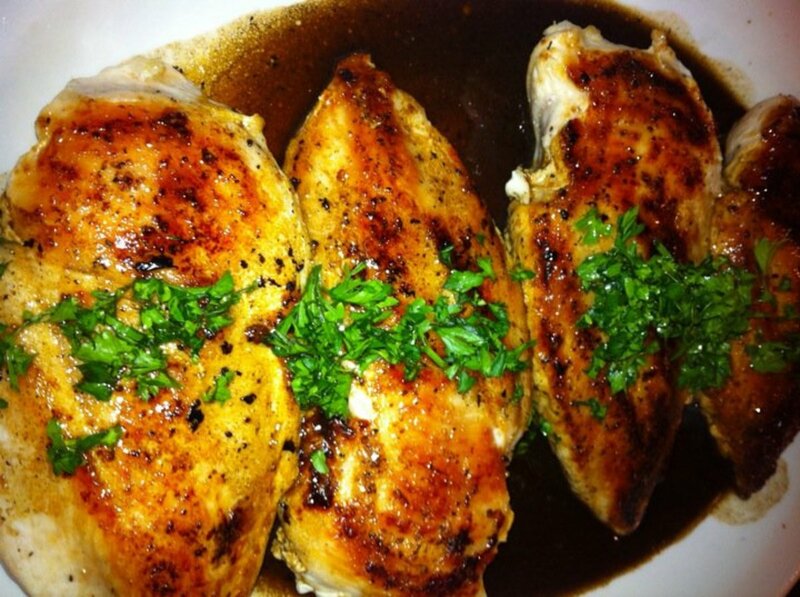 I will admit that usually I just throw some mayo in with the chicken and a few seasonings and call it good. 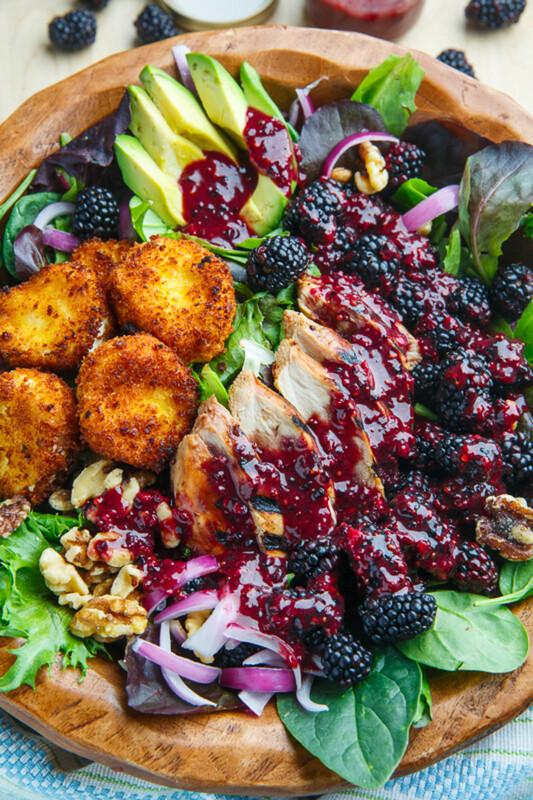 Although I am accustomed to the use of lettuce with it, I love the idea of adding berries. I imagine the taste really whoops up the chicken. Bill, you could always try one of the vegetarian versions so that you don't upset your chickens LOL. Angel, my husband is not a big fan of salad either (as the main course), but he sure seems to like this. I hope you'll try it. Susan, I hope you like them. I find that a chicken salad is not heavy, but it certainly is satisfying. Ooo, my girlfriend would love this! I myself am not a big salad guy but I would eat some salads. Since you did mention baseball Go Cubs! This looks very interesting. I'm going try it soon. Thanks for sharing, Linda. Flourish, of the two I prefer the tempeh version, but chickpeas are probably already in your pantry. 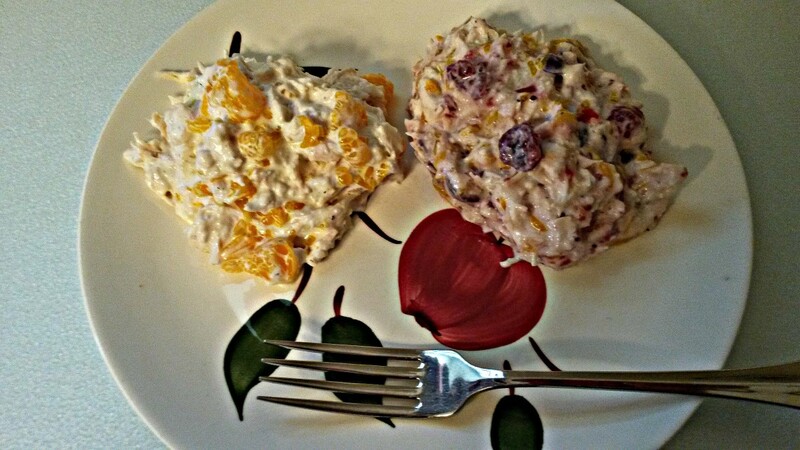 We had chicken salad tonight--the "original" version that I made with rosemary, but we added some fresh blackberries from our garden, chopped walnuts, and some Gala apple. Yum! I love chicken salad but have never had the vegetarian stand ins. I'd love to try them just to see if they are my kind of food. I'm trying to reduce the amount of meat I consume.